Less is more! The new iStick Kiya comes with remarkably small dimensions while ingeniously packs a large 1.45-inch rich color display with new bright interface and real-time clock in such a diminutive body. The new operating system makes it quite easy to use. Equipped with the temp protected charging system and 2A charging current, the iStick Kiya enables its charging process securer and faster. displays all essential information clearly and brightly. With a diminutive body, the iStick Kiya is quite portable and always comfortable to hold and carry around. 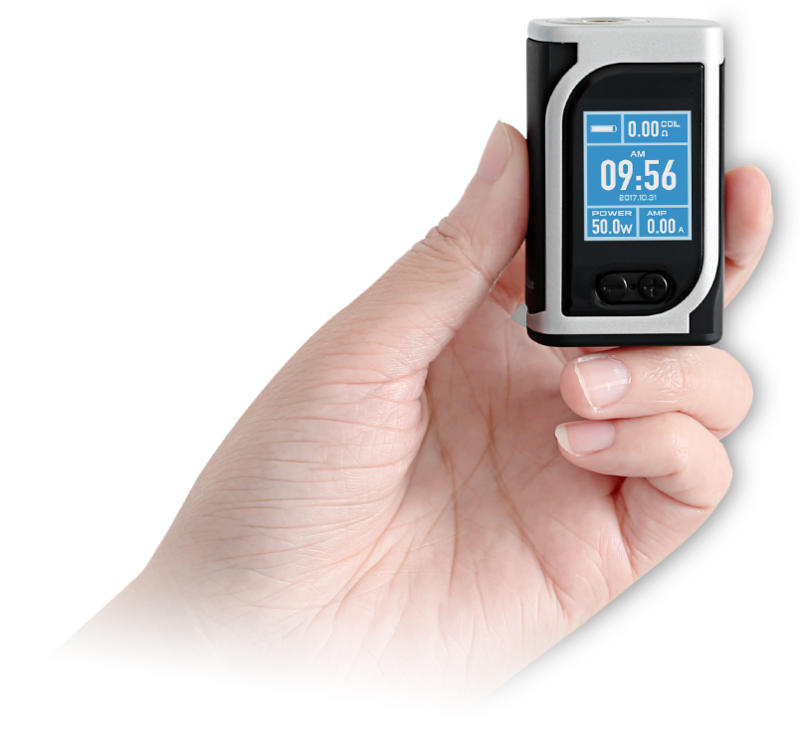 Real time clock system is newly applied on Eleaf iStick Kiya, presenting you the time in two ways: digital clock and dial clock. You are free to choose one parameters among Puff, Time and Amp to be displayed on main interface, and set timeout duration of one puff. Temperature protection system is utilized to highly ensure the safety of charging process. 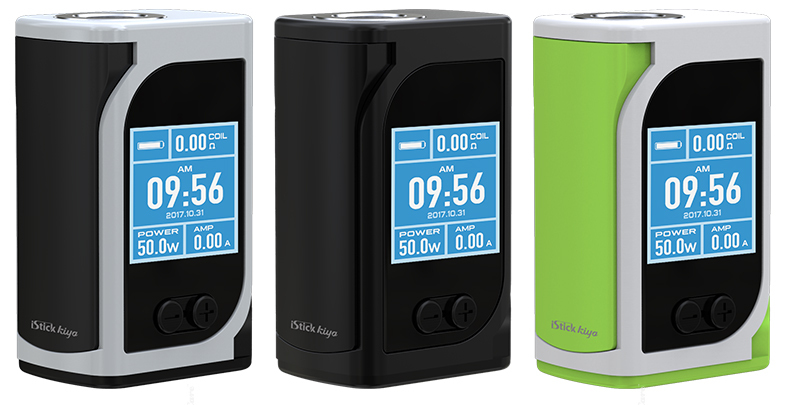 With 2A maximum charging current, the iStick Kiya can be fully charged much more quickly. The iStick Kiya can handle tanks up to 25mm diameter without overhang. Charging: the iStick Kiya can be charged through the USB port via wall adapter or computer. not be powered on after upgraded.